Dozens of restaurants, eateries and various food vendors from the Mt. Laurel area will offer residents just a sample of their signature dishes and cuisine. It may have another new date this year, but everyone is still planning for the same great taste for Mt. Laurel Township’s annual Taste of Mt. Laurel. This year’s Taste of Mt. Laurel is less than two weeks away, now set for April 23, from 6:30 to 8:30 p.m. at Harrington Middle School. As in years past, the free event is open to all residents. Officials hold the annual event to bring together dozens of restaurants, eateries and various food vendors from the Mt. Laurel area to offer residents just a sample of their signature dishes and cuisine. 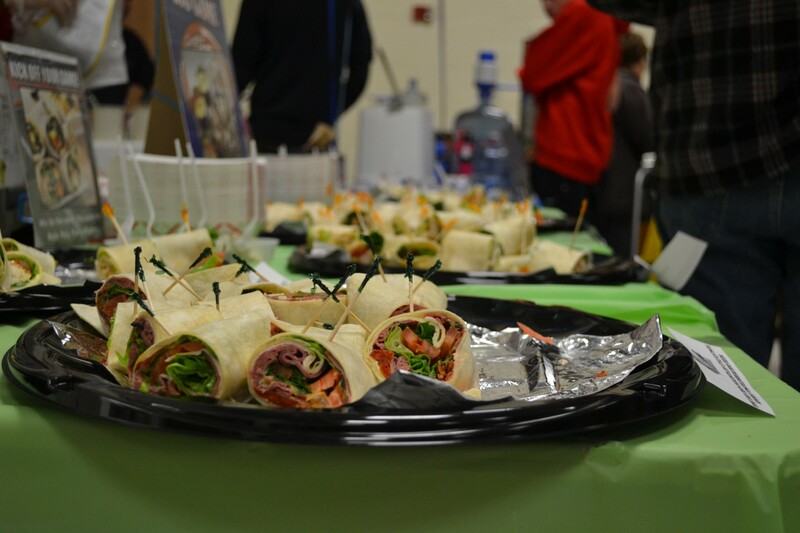 The event also provides businesses that are new to the area with a chance to introduce themselves to residents, while also giving longtime favorites an opportunity to show residents what’s new on their menus. The event also allows residents a chance to grab menus and other promotional items to take home for later. Just some of those already scheduled for this year’s event include Anthony’s Coal Fire Pizza, B.Good, Brain Freeze Ice Cream Parlor, Carlucci’s Waterfront, Chick-fil-A, Crust N Fire, Joe’s Italiano Maplewood, Ma & Pa’s Tex-Mex, Marcello’s Ristorante, Masonville Deli, Miller’s Ale House, On The Border, Primo’s Hoagies, Smoothie King, Turning Point of Moorestown and Wendy’s. Also of note, with this year’s event scheduled in April, the Taste of Mt. Laurel once again finds itself taking place in different month than it did the previous year. The 2018 Taste of Mt. Laurel took place in October, but only because officials moved the event to the fall when they were forced to cancel the event’s originally scheduled date last March due to a surprise snowstorm that took place on the first day of spring. However, those who remember the history of the Taste of Mt. Laurel will know that the event has had several changes in venue and time of year since it began nine years ago. In 2010, which marked the first year for Taste of Mt. Laurel, the event was originally held in January and open to just the township’s senior citizens at the Mt. Laurel Community Center. Yet thanks to growing interest from the township’s general population, the event soon opened its doors to all residents and moved from the community center to Hartford Upper Elementary School in 2013 to accommodate the larger crowds. Then, in 2015, increasing crowd sizes forced the township to move the venue once more to Harrington Middle School. That year also marked the first time the event was held in March, which itself was attempt by the township to avoid the chance of inclement weather that comes with holding an event in January. To learn more more about the 2019 Taste of Mt. Laurel, those interested can visit the township’s website at www.mountlaurel.com and check the “News and Events” page.